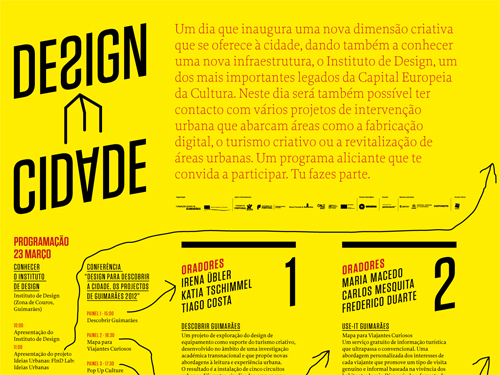 A convite da Guimarães 2012 – Capital Europeia da Cultura e do projecto Use-it, estarei em Guimarães esta sexta, dia 23 de Março, para um dia cheio de apresentações dedicadas ao design e à cidade. shared on the site. Going through your blog posting is a real great experience. want for you the best of success as a professional in this field. Hey there would you mind letting me know whiich webhost you’re using?